With Christmas just a few days away, next on the calendar is what to wear on New Years Eve. Sharing this chic yet fun tailored number with you today. 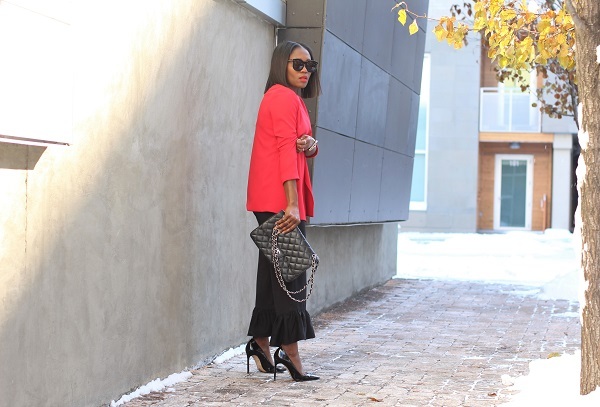 I love the true red hue of this blazer and how it pairs seamlessly over my crop ruffle hem pants (a new favourite). For a bit more wow factor to the look, I added a contrasting grey (faux) fur coat.